Heat oven to 400°F. Unroll pie crust on work surface. Using 2-inch round cutter, cut 24 rounds from crust, rerolling dough as necessary. 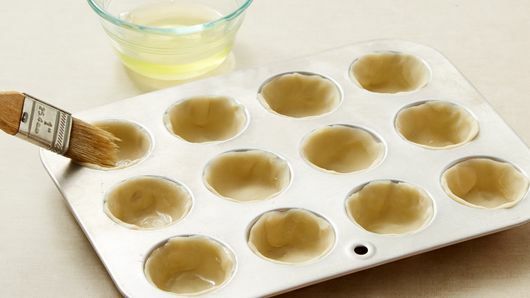 Press 1 round in bottom and up side of each of 24 ungreased mini muffin cups; brush lightly with egg white. Bake 8 minutes. Meanwhile, microwave broccoli as directed on bag; drain. Cool slightly; finely chop. In small bowl, mix cheese and mayonnaise. Spoon slightly less than 1/2 teaspoon onion and about 1/4 teaspoon tomatoes into each cup. Top with 1 tablespoon broccoli (cups will be full). Spoon about 1 teaspoon mayonnaise mixture on top of each cup. 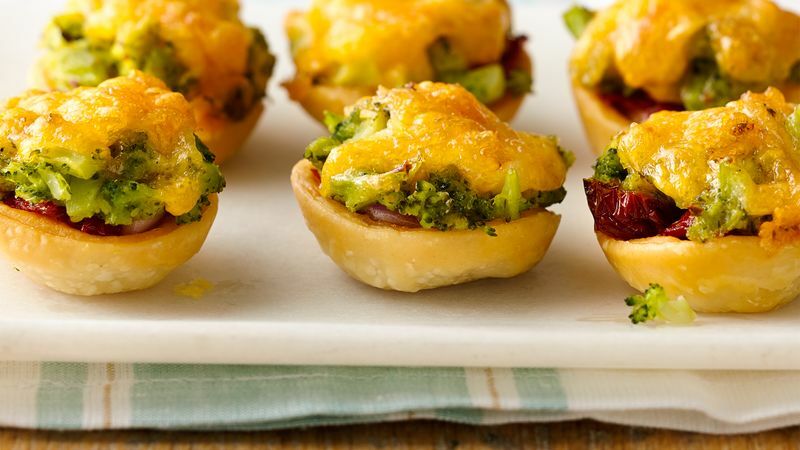 Bake 16 to 20 minutes or until crust is light golden brown and cheese is melted. Immediately remove from pan to serving plate. Serve warm.